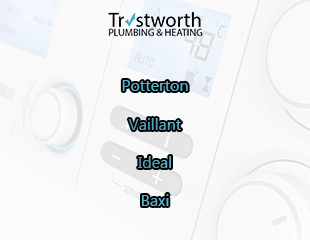 We Can Fix Worcester Bosch, Baxi, Vaillant, Potterton & Ideal Boilers. Professional Boiler Repairs In Plumstead Provided By Fully Qualified Engineers. Our Emergency Response Team In SE18 Can Respond To Gas & Heating Related Emergencies, 24 Hours A Day. If you need reliable same day boiler repairs in Plumstead, then trust in ability to deliver. Our experienced engineers can easily repair your boiler after accurately diagnosing any problems first. Our hard-working team always give your boiler a really thorough service. Our local installations team work in a safe and professional way. Whatever your make of boiler is, our team have the correct experience and skills to repair it. We are specialists at providing precise boiler repairs in Plumstead. We can repair Worcester Bosch, Potterton, Vaillant, Potterton and Baxi models. There are many amazing advantages of having your boiler regularly serviced. One brilliant advantage is that you ensure your appliance works at maximum efficiency. Trustworth offers the highest quality home heating solutions in London. You can check that we are on the gas safe register. You can do so by entering our registration number (301783) into the Gas Safe Register official website. Safety is our main priority when carrying out any type of gas work on your boiler. All of our experienced and fully qualified engineers take safety very seriously. This is because this isn't the type of job to make errors in. As gas is such a potentially dangerous thing, one silly mistake can cause serious injury or even death. We always do all the required checks before and after each job. Find the right aftercare package for you by talking to our team. You have your boiler operating more times during the colder months for central heating. So it is easy to forget about the maintenance and care of it. Our expert Plumstead boiler repairs team are fully qualified and able to answer your questions. Our trusted reputation in Plumstead speaks for itself and we have lots of happy customers. 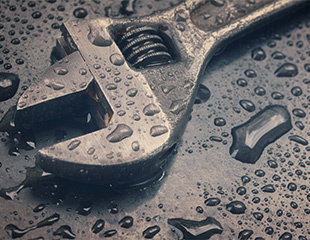 Trustworth can repair all types of leaky boilers. It doesn't matter if leak is coming from a temperature/pressure valve or broken seal. The best boiler repair Plumstead offers is with our local team. If your central heating system has a fault - we can diagnose it. Any repair we do is designed to last for some time. We recommend a 'boiler service' at least once every year. If you want extra peace of mind, then you can choose an additional service, within that 12 month period. After we complete your boiler repair, we will give you important tips on how you can maintain its top condition. If you decide for your appliance to undergo regular maintenance / checks, you can maintain its high efficiency. If your boiler breaks down, you will have to initially deal with having no heat or running hot water. On a chilly winter's morning, this will be the last thing you want to happen. To help you out, call our emergency team immediately. They tackle this sort of problem daily and go straight into autopilot. As a company always striving for brilliance, we keep informed about the latest boiler technologies. We look at ways to be more efficient and additional methods, where safety can be improved. Our boiler repair Plumstead team have the skill and experience for this business. There are too many unqualified people operating within this industry. Which is illegal. More awareness needs to happen to prevent people from using their services. Remember, carbon monoxide poisoning is a very silent killer. Don't take any unnecessary risks. Are you experiencing an annoying boiler breakdown in SE18? Then call Trustworth Plumbing on 07951538977. We recommend that you save our number, so in an emergency, you can dial it quickly. try not to panic - we will respond quickly. Plumstead is in the borough of Greenwich and has many local businesses. If you are a landlord, business or local organisation, you can hire our team to to carry out quality boiler repairs. We also do professional gas safety certificate checks. Our engineers do every single test required by law and only issue certificates, if you pass all required tests. Our experienced boiler engineers can find hidden faults that other companies sometimes fail to spot. We don't limit ourselves to just getting your appliance back to normal working condition. If we can make it work more efficiently, they will. Our advice is vital in helping you protect against a large number of future boiler breakdowns. If you are looking for a professional company, then choose us. We offer a 3 year guarantee on all installations. We are fully qualified at installing the top boilers now on the market (Potterton, Worcester Bosch, Vaillant, Ideal and Worcester Bosch). We aim to get them working at maximum efficiency gain. If you are not legally qualified to do this type of job, then you should never attempt it. Doing so is very dangerous and also illegal. You are putting lives at risk, just for money. Do you need a servicing and aftercare package? There are so many appliances that you need to make sure are running smoothly in your household. Try not to neglect you boiler, as it is a very important appliance in your home. It regulates heating and hot water. People take that for granted, until something goes wrong with it. 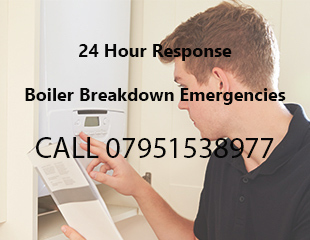 Boiler emergencies in SE18 - Trustworth has a reliable 24 hour boiler emergency response team. Our hard-working emergency engineers will quickly make their way to your property. On arrival they will assess the situation and then attempt a repair. Not all boilers can always be repaired unfortunately. You need a same day response service because it helps restore heat and hot water to our home quickly. Also it takes the pressure off you, as you know an expert is on their way. If you are elderly or have a young family, a boiler breakdown can sometimes be a stressful time. We aim to fix it that same day. Trustworth Plumbing covers the South-East London region and other parts of city. Landlords, businesses and, homeowners trust our knowledge, in an emergency. For a top quality boiler repair, trust in us to deliver on every occasion.